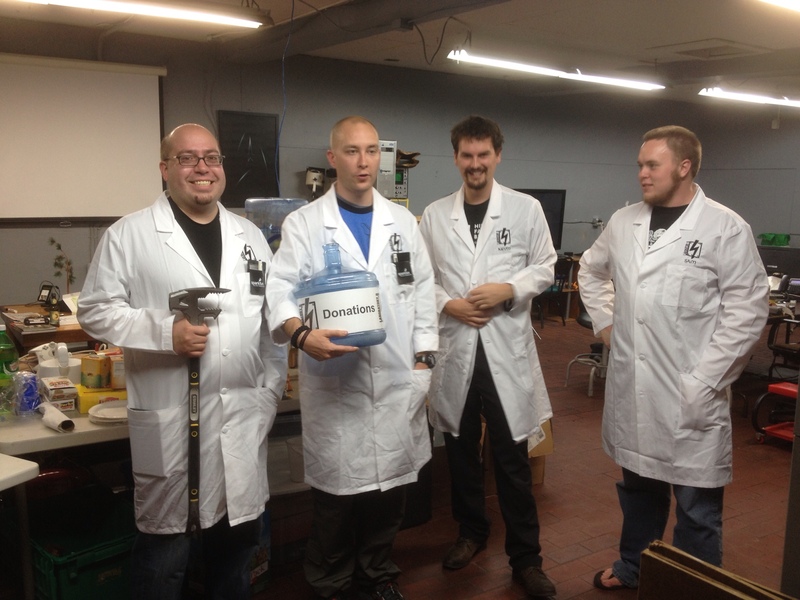 It’s been an exciting last few weeks with plenty of cool addition to the Lab. One of these if your new full sized server cabinet! Friend of the Lab Pat new a guy who knew a guy. Working with Pat we picked it up and brougth it back to the lab. It a Dell model and it’s super awesome. 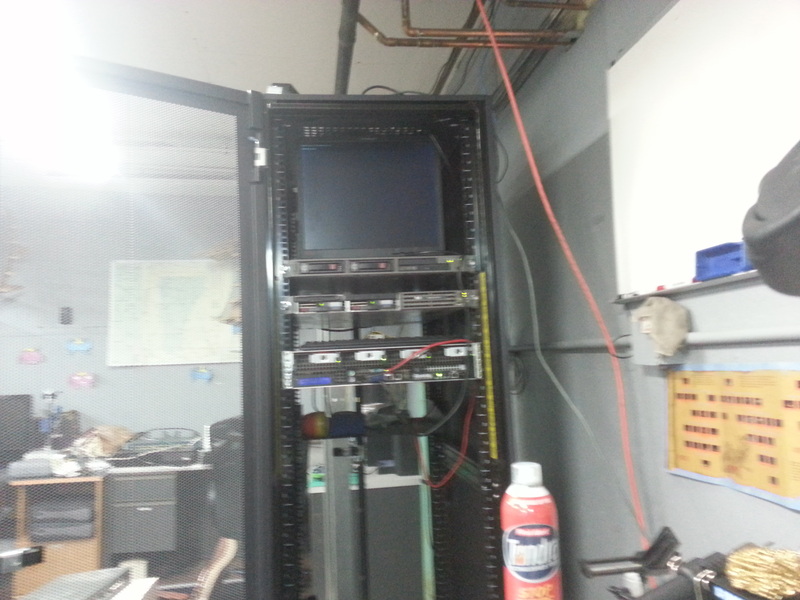 We are currently in the process of cramming servers into it. Thanks Pat! Author Jesse KrembsPosted on November 26, 2013 Categories Jesse Is Lame For Not Using CategoriesLeave a comment on New Server Cabinet! No Open Public Hours this week. It’s a busy holiday week so no public hours this week for Laboratory B. We’ll be busy Thursday cooking up a storm! Author Jesse KrembsPosted on November 26, 2013 Categories eventLeave a comment on No Open Public Hours this week. This post is long overdue but better late then never! We’d seen Rebecca Schwarz’s designer lights at the number of local maker and art events and we thought “Man those are super cool!” After talking with Rebecca a little we learned that they usually lived in her basement unseen and unloved. Well with a little cajoling we managed to convince her to hang them at the Lab! 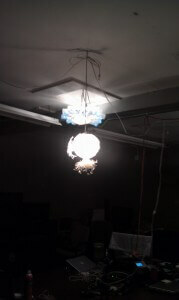 We maybe the only hackerspace with designer lighting! 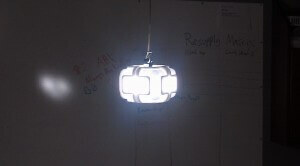 If you want to see the cool lights from recycled material come on down to the Lab! 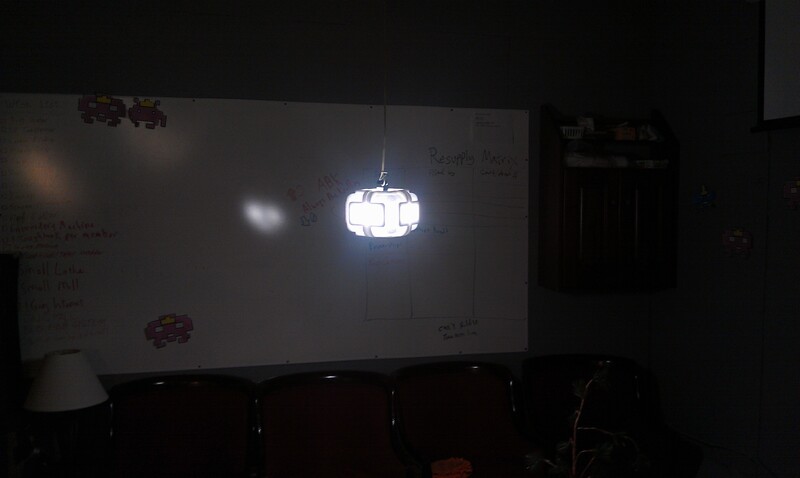 Rebecca can also do workshops on how to make similar lights at schools and such! Author Jesse KrembsPosted on November 8, 2013 November 8, 2013 Categories awesome, Jesse Is Lame For Not Using CategoriesLeave a comment on Designer Lighting!